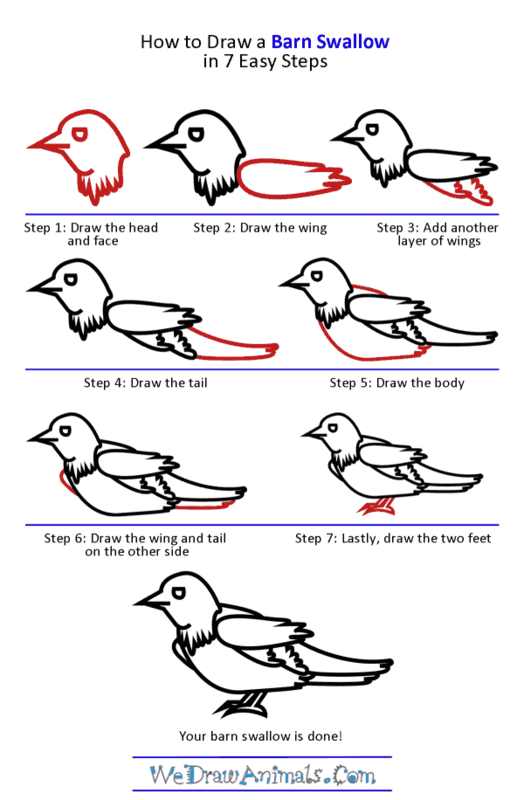 In this quick tutorial you'll learn how to draw a Barn Swallow in 7 easy steps - great for kids and novice artists. 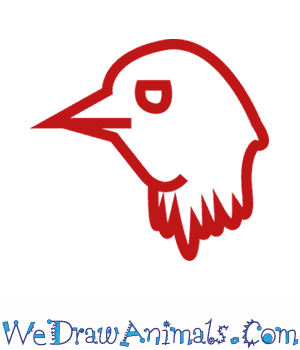 At the bottom you can read some interesting facts about the Barn Swallow. 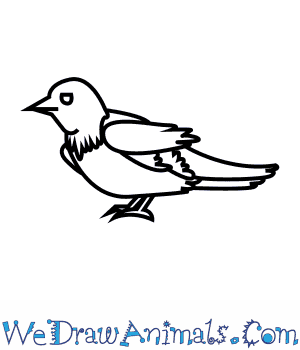 Step 2: Draw the wing as a long, round horizontal shape that ends in more tufts of feathers like on the neck. Step 3: Add another layer of wings, diagonal and below the back of the first wing. These will also end in fluffs of plumage. 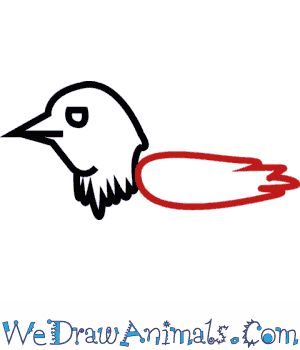 Step 4: Draw the tail. Use a long sloping line from the end of the large wing that comes to a point and meets back with the smaller diagonal wings. Step 5: Draw the body. 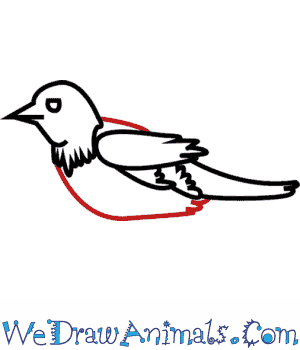 Connect the back of the head with the larger top wing, and then draw a soft L-shaped line from the bottom of the neck to the bottom of the tail and smaller wings. 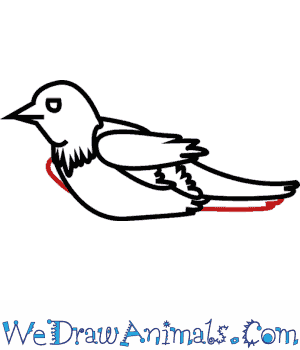 Step 6: Draw the wing and tail on the other side of the swallow’s body. 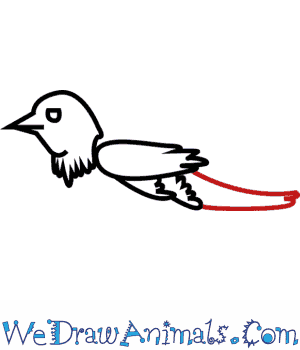 These will be tiny lines that show only bits of the edges of the wing and tail, like the ones you already drew on the front. 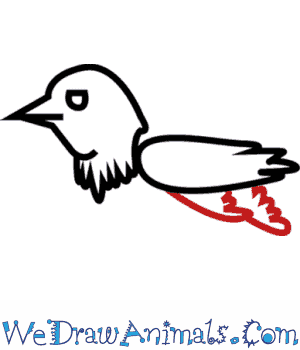 Step 7: Lastly, draw the two feet. 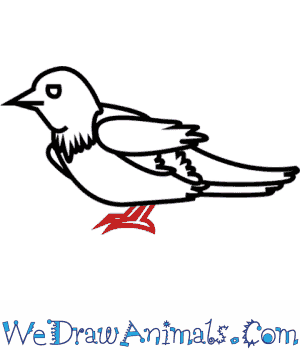 Two slanted, narrow lines from the bottom of the body make the legs, while a small crescent shape becomes the swallow’s feet.